Thousands of East Cleveland residents are wondering how long they'll have to deal with interrupted cable service in their city. East Cleveland Councilman Nathaniel Martin told News 5 the East Cleveland Cable company has been embattled by financial issues, causing it to cut service since August. 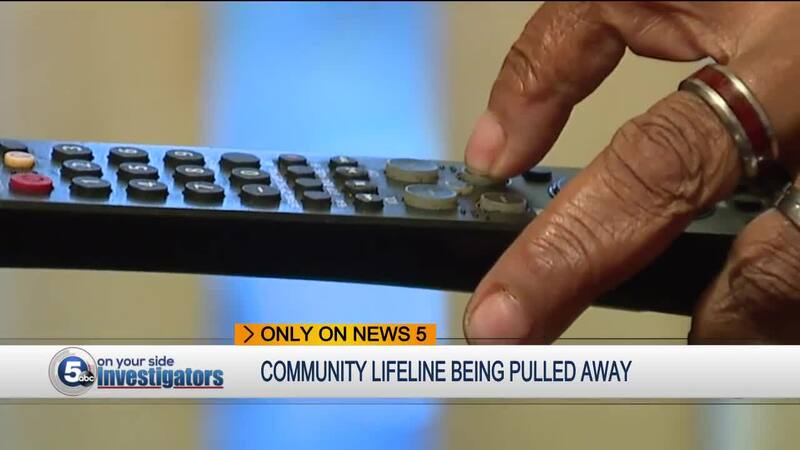 Martin said the cable company dropped more than 30 channels, triggering dozens of complaints, and an investigation by the Ohio Department of Commerce. Martin admits East Cleveland City Hall, and Mayor Brandon King need to be doing more to restore cable service or find another cable provider. "This cable company is a disaster right now and I think they'll be out of business within two weeks," Martin said. "There's about 30 stations that have gone out, and I'm hearing that there are some internal problems with the family that owns the business." Cassandra McDonald with the Euclid NAACP told News 5 East Cleveland government needs to take action in restoring a service that provides critical community information to citizens. McDonald believes service interruptions of this magnitude would never be tolerated in any other northeast Ohio city. "It also shows an immorality, I think, about how the people of East Cleveland have been treated throughout this administration." "This is not just about watching TV and being comfortable and having cable. This is about, number one, they should have it, they're allowed to have it, they need it. And not only that, but some of these things are their functions in life." East Cleveland Mayor Brandon King and the owner of East Cleveland Cable did not respond to calls from News 5. Councilman Martin said he will now try and set-up a meeting with Spectrum Cable to see if they would be willing to provide service to East Cleveland.